2. Crawling sensations, both within and on the skin surface. 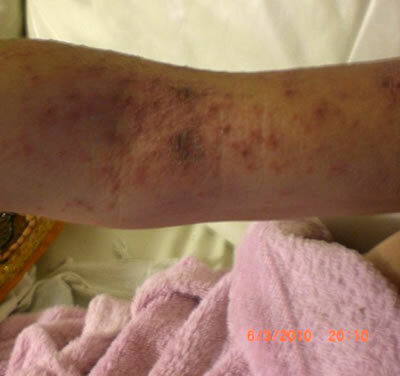 Often conceptualized by the patient as "bugs moving, stinging or biting" intermittently. Besides the general dermis, may also involve the scalp, nares, ear canal, and body hair or hair follicles. The sensations are at times related to the presence of easily seen insects, arthropods, and other human and non-human associated parasites that require serious attention from the observing clinician. 5. Behavioral effects are common in many patients. Many have been or will be diagnosed as Attention Deficit Disorder, Attention Deficit Hyperactivity Disorder, Bipolar Disorder, or Obsessive-Compulsive Disorder. A minority do not show this pattern. Almost all, if previously seen by well-read physicians without prolonged observation, will have been labeled as "Delusional Parasitosis". Temporal relationship to skin lesion onset is not known. 6. 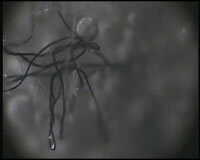 "Fibers" are reported in and on skin lesions. 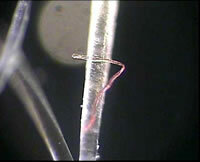 They are generally described by patients as white, but clinicians also report seeing blue, green, red, and black fibers, that fluoresce when viewed under ultraviolet light (Wood's lamp). Objects described as "granules", similar in size and shape to sand grains, can occasionally be removed from either broken or intact skin by physicians, but are commonly reported by patients. Patients report seeing black "specks" or "dots" on or in their skin, as well as unusual 1-3 mm "fuzzballs" both in their lesions and on (or falling from) intact skin. 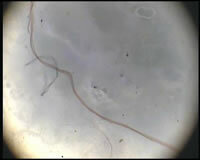 MorgellonsDiseaseAwareness.com is dedicated to bringing awareness of Morgellons Disease to the general public. Extensive photo galleries document the fibers and artifacts found in this illness and show its systemic nature as it makes it's way through the skin, urine, stool, and blood. Ayla is releasing a series of oil paintings that reflect the Morgellons experience. The series kicked off with a modified version of Jan Vermeer's "Girl with a Pearl earring." A new painting will be released every few weeks. Healthy Healing: we treat the cause - not just the symptoms. We are committed to being your partner and providing you and your family with high quality natural treatments and services that promote your total wellness and optimal health by using cutting edge science-based therapies and natural remedies passed on for generations. Our aim is to provide a first class service that everyone can afford. 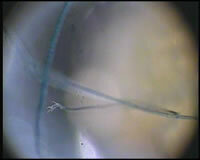 Does Aerosol Spraying cause morgellons Disease? 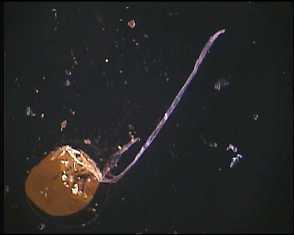 "I extracted a nano sized organism from a Aerosol Sprayed fibre that had been collected after heavy spraying in Nebraska. 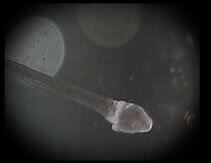 I captured its growth with my dark field scope. The living fibre is now on its way to a friend who has better lab access. 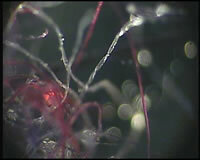 I have tested 23 out of 35 adults and 3 out of 4 children positive for these same fibres. 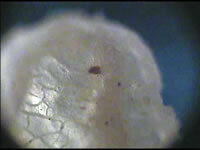 None of those tested showed any outward signs of morgellons. I now know these fibres respond to frequencies, electromagnetic ones. lets hope none of our friendly governments decide to let loose a frequency that awakes these horrors"
US Patent - 4362271 - December 7, 1982 - Procedure for the artificial modification of atmospheric precipitation as well as compounds with a dimethyl sulfoxide base for use in carrying out said procedure. WHY- modify dew with Dimethly Sulfoxide??? Dimethly Sulfoxide is a compound used to carry any substance you like straight through the skin and into our cells. A fantastic compound when used correctly in medicine but not very nice to have on ones skin unknowingly. Whatever follows DMSO will enter your cells. First fibre victim reported 1984." "Last week very light rain fell out of a clear blue Cyprus sky. I placed a few droplets under my scope. The droplets all contained a copper colour nucleus of some sort. 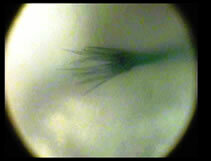 I captured on camera morgellons fibres leaving some of these drops." Genetically Modified Organism Disease also known as "Morgellons Disease"
"To call this horrific fiber disease Morgellons is ridiculous. Those corporations behind this bodily invasion, such as Monsanto must be laughing their heads off. Morgellons is a nothing word. This disease should be labeled something a GMOD (genetically modified organism disease). By referring to this as a GMOD those guilty of allowing this genetic modification of our food will be forced to take notice and hopefully action." 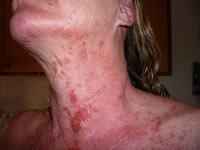 "Following an outbreak of morgellons that nearly killed me I have been working with skin which I kept while ill. 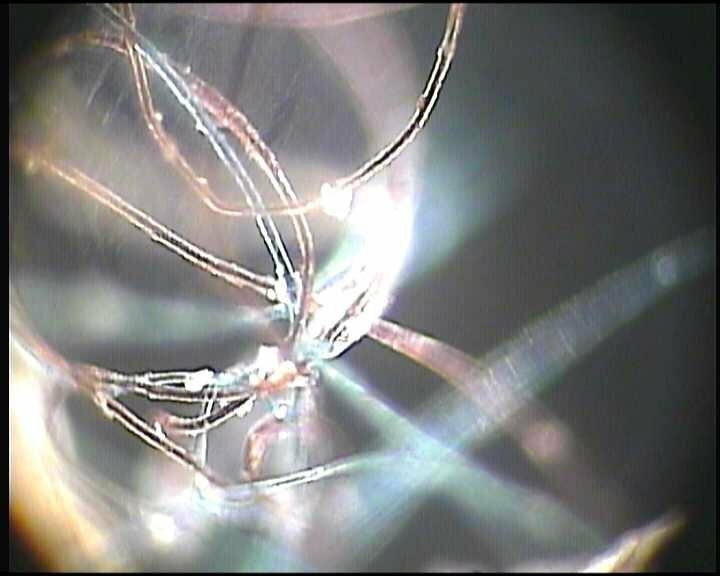 I have now grown a morgellons fibre, this is amazing advanced technology and can only have been created by the military or more likely Mossad, namely Moshe Joseph.. 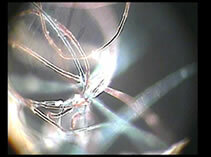 The BBC last week said some American scientist had invented artificial life. I believe this is artificial life, it is out there and just loves oxygen. 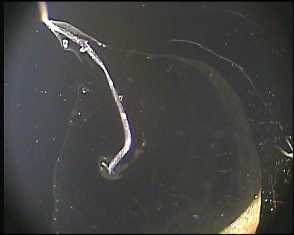 This clip shows the birth of a morgellons fibre. 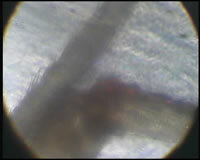 This is a piece of my skin saved since mid March on a sterile slide. 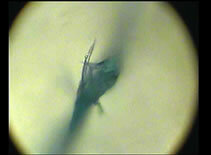 Please go to flickr and see morgellons.cyprus and see just how bad my outbreak was. I am a CAM practitioner, I have just started back to work. I have found a way to test people for this fibre disease, 14 out of 18 adults have tested positive for fibres, at the same time 3 out of 4 children tested positive. I gave a whole referenced file to various sources whom I thought I should inform of my discoveries. I have now been contacted by someone I do not know and asked to keep my info quiet for a bit (I will not say whom this person claims to be) On reflection I realised I cannot do this, secrecy has not been good for humanity uptil now and believe me humanity is seriously in trouble with this one. 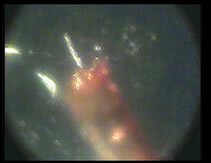 I am putting this important film clip out in the hopes that someone working on morgellons will pick it up. The 30 minute RAW file is available to anyone who wants it. One can live in fear or one can just say NO. I am saying NO to keeping secrets. Whatever to be will be but once out there this information is available to all. Through other work I can tell you Morgellons can be disabled enough with an oxygen oversdose to allow the immune system to remove it. I did it and am now fibre if not bacterial stage free. I will make a film of my outbreak and recovery tomorrow. It is upto scientists to take it from here. I believe I originally got this GMOD (GENETICALLY MODIFIED ORGANISM DISEASE aka Morgellons from chemtrail goo which was dropped over my area in 2007. 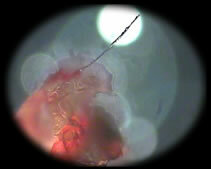 "To call this horrific fiber disease Morgellons is ridiculous. Those corporations behind this bodily invasion, such as Monsanto must be laughing their heads off. Morgellons is a nothing word. This disease should be labeled something a GMOD (genetically modified organism disease). By referring to this as a GMOD those guilty of allowing this genetic modification of our food will be forced to take notice and hopefully action. "Pranic Healing� is a highly evolved and tested system of energy medicine developed by GrandMaster Choa Kok Sui that utilizes prana to balance, harmonize and transform the body's energy processes. Prana is a Sanskrit word that means life-force. This invisible bio-energy or vital energy keeps the body alive and maintains a state of good health. In acupuncture, the Chinese refer to this subtle energy as Chi. It is also called Ruach or the Breath of Life in Hebrew." Various clinicians have seen, and occasionally identified, certain common dermato-pathogens OR organisms not found on humans but on animals or on inert material. GMOD has also been suggested to be some type of bio-terrorism caused by genetically modifying foods such as the company MONSANTO with there genetically Modified Seeds. All in all, this disease seems to be very hushed amongst the scientific and clinical communities. There is an ever growing concern for the GMOD outbreak, with 14,000 or more cases since 2002, why hasn�t science focused on this? Why are we creating a synthetic world around us, not knowing what results could occur? Are we the public merely guinea pigs in a universal experiment, or has the world simply become overpopulated and we are being eliminated? Our pages set out to discover this every day. So please invest a little of your time and read what we have researched. Please contact us if you have any concerns or think that you may have symptoms of Morgellon's Disease, otherwise known as GMOD. 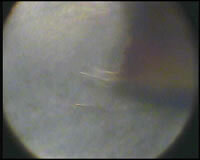 As of two weeks ago I have full blown Morgellons. 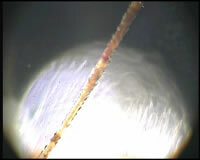 Many of the fibers coming out are similar to stuff in this video. The fibers coming out of my body do not burn with a blow torch neither do they dissolve or change at all after being left in 35% peroxide for 15 hours, I AM IN AGONY. and am finding it hard to function. The top of my body is covered in massive painful sores as are the full length of my arms. Sometime soon when I am more coherent I will put up a slide show of my body and the different things emerging from my body, I have a dark field microscope as I am a CAM Practitioner and a Clinical Nutritionist. The really scary thing is I am seeing similar blood conditions that seem to relate to Morgellons in more and more of my clients. 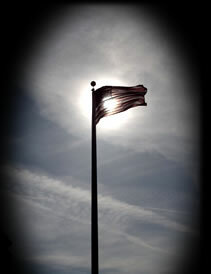 Photos now on http://www.flickr.com/photos/morgellons/ I am now over this attack but still feel worn out. My body has recovered my spirit will take a bit more time. I do not know why I decided to follow the research; l just felt that this horrific disease was going to prove to be a much bigger problem than anyone was realizing. During August 2007 whilst still living in the UK, I awoke one morning to see my garden covered in a very strange web-like substance. On further investigation I realized that many of my neighbors also had this same substance covering their hedgerows and gardens. The web which was much thicker than normal insect web was kind of fluorescent and its structure resembled chicken wire .The way it was attached to the foliage was also unusual; it was only attached to the tips of the branches. If one took large nets and threw them over the bushes and trees you would get the same pattern of attachment. Within a day the foliage that had this substance was on started dying. By the end of that day my arm was really aggravating me as no matter what I did I could not stop a persistent itch that had begun shortly after the bite. This itch has never left me. I would get a month or so relief when I hoped it had gone but it always returned. I finally found out that putting ice packs on my arm would calm it enough to allow me to get some sleep. In January 08 I left the UK and moved to Cyprus where I live now. During July 2009 I was diagnosed as having intestinal fungal overgrowth and a B12 deficiency. I decided against any pharmaceutical medicines and treated myself with ozone insufflations, virgin coconut oil and a garlic product called Alli-C. To allow me to follow the progress of the Candida, I purchased a dark-field microscope which I incorporated into my clinic by offering live blood analysis. A dark-field scope allows you to see fungus, bacteria and many other conditions in the blood at cellular level. 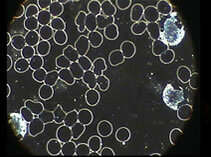 Having worked with a dark-field scope in the UK I was fully familiar with its operation and usefulness in diagnosing and following up various health problems .By November 2009 the fungal infection was clearing but I could see an unidentifiable mycoplasma attacking my red blood cells. 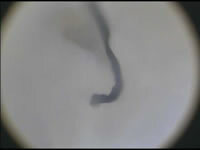 A week or so after I noticed this condition, Clifford Carnicom released his latest research and photographs showing morgellons as it first appeared in the blood. My blood condition looked and sounded very similar but I thought there could be several other causes so dismissed any worries I may have felt. In February 2010 I took delivery of an ozone cabinet for my clinic. I decided I would try and remove the mycoplasma with a seven day steam ozone detoxification program using the cabinet. I have worked with ozone for many years and held a deep belief that disease, bacteria and virus cannot live in a highly oxygenated environment. I had proven this many times when treating clients for bacterial and viral infections. I had used an ozone baths during 2005 and 2006 for detoxification so was surprised at the immediate discomfort I felt on day one. The heat was extremely uncomfortable, something I had not encountered in prior use of these baths. I was also extremely itchy all over my upper body. Despite the discomfort I decided I should continue my planned course. Following day three’s treatment I started to break out in a rather severe rash. 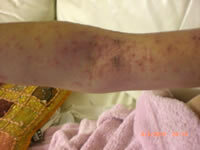 The rash started on my upper left arm, exactly where I had received a bite during 2007, then spread around my chest and down the right arm. This happened over the course of the next few hours. I realized the rash was not a typical detox rash but decided to carry-on with my protocol as I now hoped to remove from my body whatever had been causing the persistent aggravation in my arm, as well as the mycoplasma. By day five I had to stop due to the severe burning and itching I was feeling even when out of the bath. Regardless of staying out of the bath, the rash carried on spreading. The itching was painful and I had to take strong pain killers. 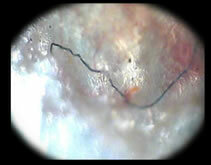 I did not consider that morgellons was the cause of my pain as many of the lesions appearing over my body were scabbing over. 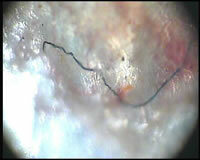 All morgellons research I had seen to-date stated that morgellons lesions do not scab over or heal. It was approximately four days after my last bath when Carnicoms next research papers were released. As I read the paper I realized I could be in deep trouble. 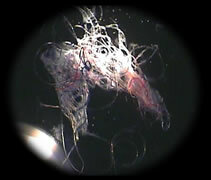 Carnicom had cultured filaments from morgelloms victim’s mouth debris. He had been subjecting the cultures to various substances to see which substances would regress or inhibit growth. He had discovered that any free radical producing substance like H202 or ozone rapidly enhanced the growth of the filaments. He was advising the morgellons community to stay away form all free radical treatments. I knew I had to take a look at what was occurring with my skin, I felt sick to my stomach as I pulled of a piece of dead skin and placed it under the scope. 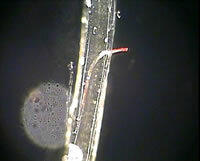 Sure enough entangled through my skin sample were bright red, blue and black fibres. To make sure these were not just household fibres that had somehow got into my skin I placed the fibres on a heat proof tile and burnt them with a small blow torch, although they twisted and changed shape a bit they did not turn to carbon as one would expect from normal fibres. I did the burn twice without destroying the fibres. 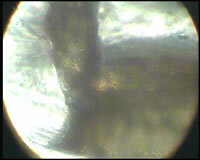 I took another skin sample and found the very same fibres, this time I placed the skin sample in a solution of H202. 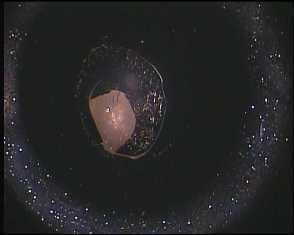 I left the sample in soak for 12 hours before placing back under the scope. The fibres had not lost their color. The next couple of weeks were agony, the rash intensified, pain was extreme. My skin would form blisters that would burst then reform, it felt like broken glass and lit cigarettes were attacking my skin from the inside. 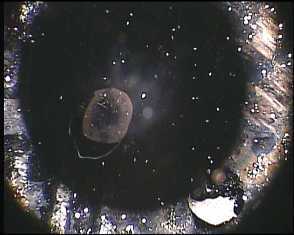 Whenever a scab formed I placed it under the scope and photographed the contents. I tried many things on the skin to no avail. The only medication that helped was the opiates, both oral and intravenous. After about 20 or so days the rash started to diminish. I still had severe itching and I felt very ill and weak. Every day I removed bits of skin full of fibres. No matter what solution I placed them in they did not lose their color. It was not until 10 days or so later when I decided to try frequency healing that I really improved. The change was immediate. On a Saturday I visited a therapist who discovered that my left and right brain hemisphere had switched, everything that should test positive ran negative and vice versa. I was also emitting radiation from my thymus area for approximately two meters. My thymus had felt permanently on fire and I could feel small metal particles just under the skin. My reading on the therapists Bicom computer reached twice as high as anyone she ever tested before. This will save me trying to explain how the treatment works. Despite being pain free and not having skin problems I still find concentrating very difficult. After treatment the therapist gave me two small radiation absorbing vials which I taped to my chest and changed every day. I still took my pain killing injections that evening but the next day I woke up feeling really good. I have not taken any medication since. I still have one treatment weekly as many of my organs are still resonating wrongly. Within a fortnight of starting resonance therapy I was able to start seeing clients again. No one could believe the change in me, including myself. I seemed to have got better as quickly as I got sick. My very first client thought she had heavy metal poisoning and wanted to use the ozone bath. 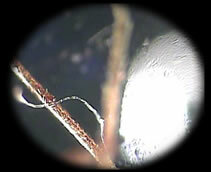 She had bought a sample of metal which she had passed via her urinary tract, when I put it under the scope I saw the fibre as shown in pdf at B pic 6. 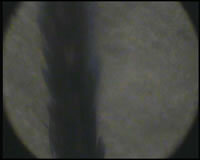 I took a sample from her hairbrush and the same fibres were curled around the bottom of the brush spike. 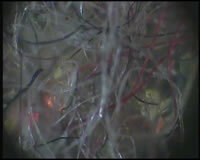 These fibres moved about when I placed them on a slide which I had dampened with H202. I have time lapse pictures of the movement taken over 12 hours. I found it hard to believe that my very first client could have the same problem as I was getting over, but there was no doubt about it. 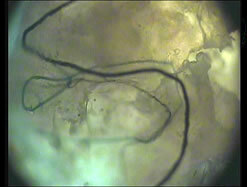 To date fourteen out of eighteen adults tested have these fibres as well as three out of four children. The rest I explained in my first pdf correspondence. 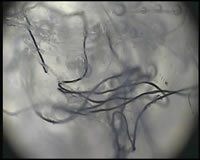 I have recently managed to grow these fibres from one of the original skin samples I had saved on a slide. I cannot say cultured as the results were unexpected and immediate. 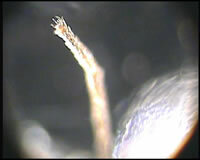 A CD showing this growth was included in the information pack I passed to our MP." A Further explaination of symptoms, A Conversation with Dr. HP Albarelli Jr.